Every child deserves safe, reliable, transportation to and from school. In 2017, an Our Voice Nuestra Voz leader, originally spoke out at an Orleans Parish School Board (OPSB) town hall about her children aged 5 and 8 not being provided buses to school. Instead they were only offered tokens for public transportation. This led to the discovery that Einstein was in breach of their charter contract obligation to provide yellow buses for students in 8th grade and younger. After a court battle, OPSB threatened to revoke two of Einstein’s charters due to non-compliance. Due to pressure, Einstein’s Board agreed to begin providing buses and reparation payments to parents. Their CEO resigned, and the new interim CEO has begun a contract with a bus company to provide free yellow bus transportation for all students 6th grade and under. Congratulations to the parents who have been fighting for this change! We are excited that the district heard the voices of parents and are engaging in an accountability process that works! An Our Voice Nuestra Voz parent speaks up at an Orleans Parish School Board (OPSB) town hall about Einstein Charter Schools’ bussing policies. 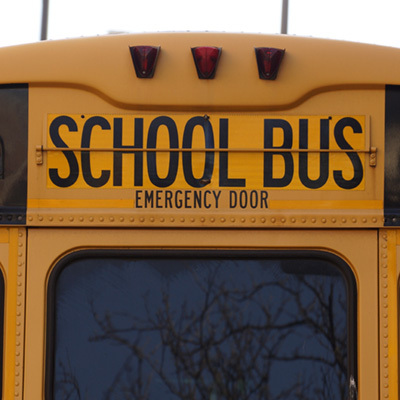 The district state law requires charter schools to provide free transportation on yellow buses for students in the 6th grade and below who live more than a mile away from school. Instead, Einstein Charter Schools’ were only providing students with RTA tokens in order to get to school. After our parent spoke at their town hall, OPSB sends a notice of non-compliance to Einstein Charter Schools’ in regards to their transportation procedures. Einstein, then, followed up with their own litigation against OPSB. OPSB files a petition in Civil District Court accusing Einstein Charter Schools’ of a breach in their contract in regards to transportation procedures. OPSB increases pressure on the Einstein network by beginning the process to revoke its schools’ charters. After months of community pressure from our parents and OPSB, Einstein Charter Schools agree to provide students with yellow bus transportation. Einstein CEO Shawn Toranto also steps down as a result of the dispute.